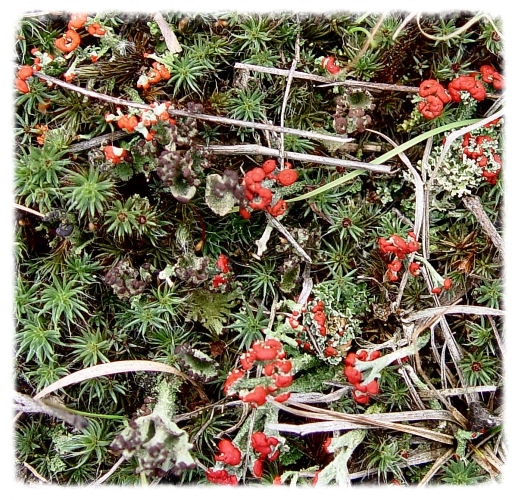 Cladonia cristatella is a brightly colored fruticose lichen. A lichen is a composite organism. 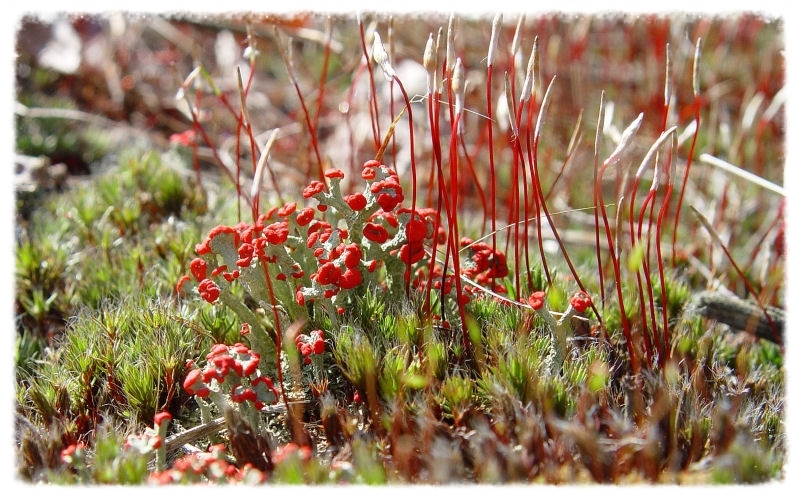 As all lichens, this brightly colored fruticose lichen bears the name of the fungus, Cladonia cristatella. The alga is Trebouxia erici. Historical description: Periods of lichen classification, General Lichenology, Albert Schneider, M.S., M.D. 1897, pp. 24-30. 1 April 1897, bottom p. 11.